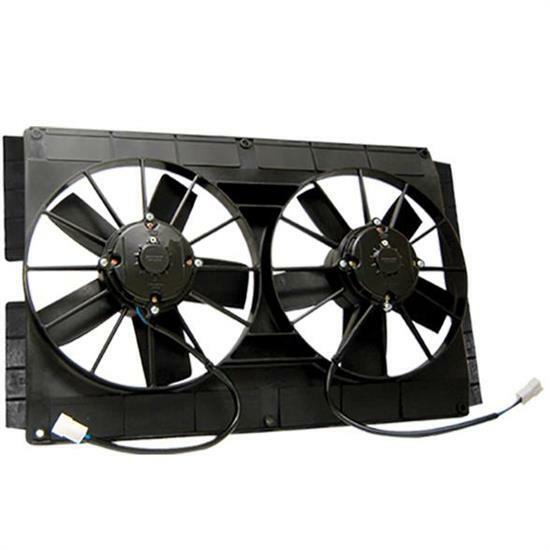 Maradyne Fans introduces this low profile dual 11 inch straight blade cooling fan. This fan Features a puller straight blade fan with 225 watt motors. Includes side mounting flanges.